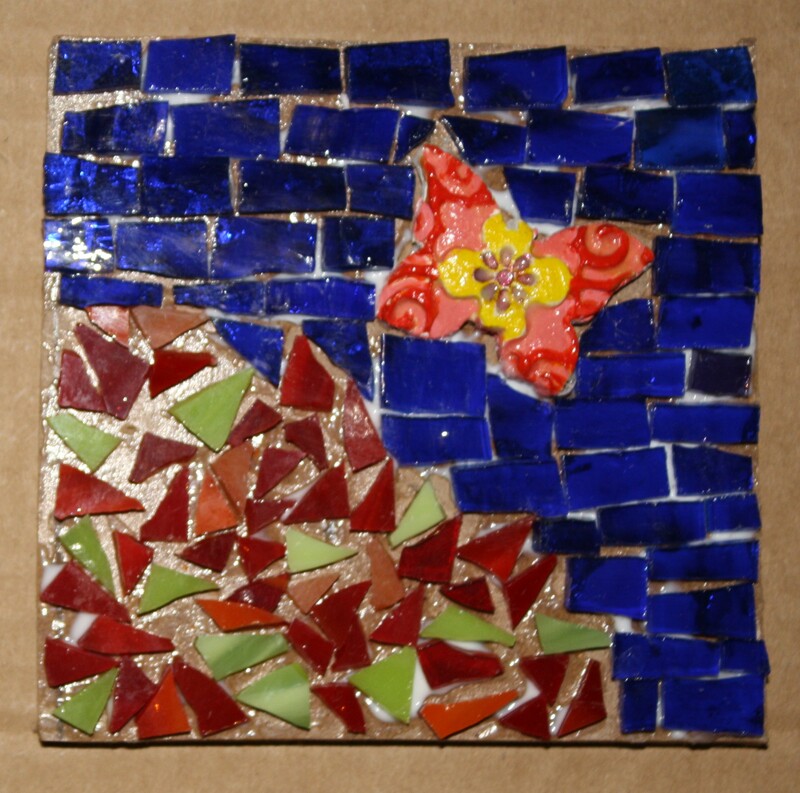 I made the butterfly in tonight’s mosaic in tile class. Instead of glazing it I painted it with acrylic paint. I’m not sure if the paint will come off when I grout. I guess we’ll find out on Sunday. Previous Day 315 – I Love Green and Blue!